Over 1.3 million American children – and more than half of minority children – are born into families with negligible savings to invest in their futures. While the income of black households has been increasing over time, slowly narrowing the income gap, they still have a much lower net worth. In fact, the gap in wealth between black and white households has been widening over time. We can eliminate this racial wealth gap through policy that encourages and assists low-income families in building savings. Current U.S. policy promotes asset building within middle- and high-income families, but these policies either neglect to include low-income families in asset education and outreach efforts or penalize them within public assistance program rules for accumulating even a small amount of savings or owning a car to travel to work. 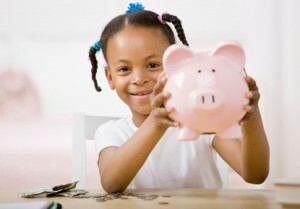 An encouraging policy to close the racial wealth gap is child savings accounts. These accounts can take different forms, but the idea is that they are lifetime savings accounts specifically for children and often seeded with a small initial deposit from the government, to be used later for opportunities such as higher education or homeownership. This not only helps to provide a strong financial basis for future educational and personal growth opportunities, but also promotes positive savings behavior for families and children. A study of families with child savings accounts in Oklahoma shows that even a modest amount of savings in an account leads to a family’s improved outlook for a children’s future. Recognizing the value of child savings accounts, an increasing number of states, localities, and non-governmental organizations have been developing their own child savings accounts programs. The Corporation for Enterprise Development has a directory of all of the programs around the country and it shows that in the majority of states, there is some kind of child savings program. To build on this momentum, Congressman Joe Crowley and Congressman Keith Ellison introduced federal legislation to establish universal savings accounts for all children in the US. The bill, USAccounts: Investing in America’s Future Act of 2015 (H.R. 4045), would establish an individual child savings account for every child born in the United States. Through a fund created at the Treasury Department, it would provide $500 in seed money to each fund. The government will fully match any funds contributed to the account up to $500 per year. This legislation is part of Congressman Crowley’s Plan to Address Retirement and Savings Crisis. We applaud him and Congressman Ellison for their leadership in helping families save for their children’s future, and taking steps to close the racial wealth gap. For more information on child savings accounts, please see First Focus’s 2015 Big Ideas book, Pioneering Change: Innovative Ideas for Children and Families, which contains papers on child savings accounts and policies to help expand economic opportunity for families.